We experienced one of the highest temperature spikes of the year this week but still we had great sightings. 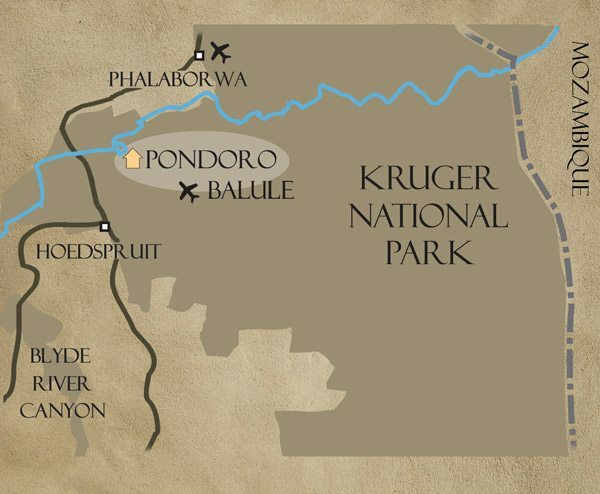 The Kudyela pride with their cubs were not seen at all except for the lioness with the 3 newest cubs. 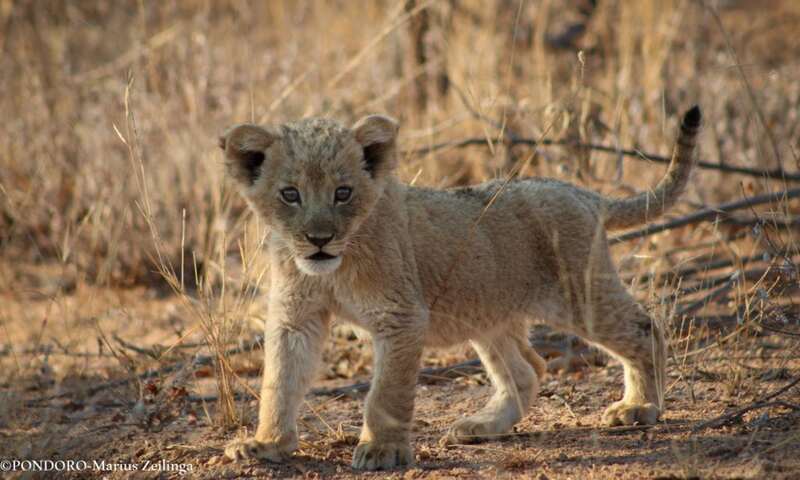 She moved them quite far from where we saw them previously to a popular den site used by the pride. 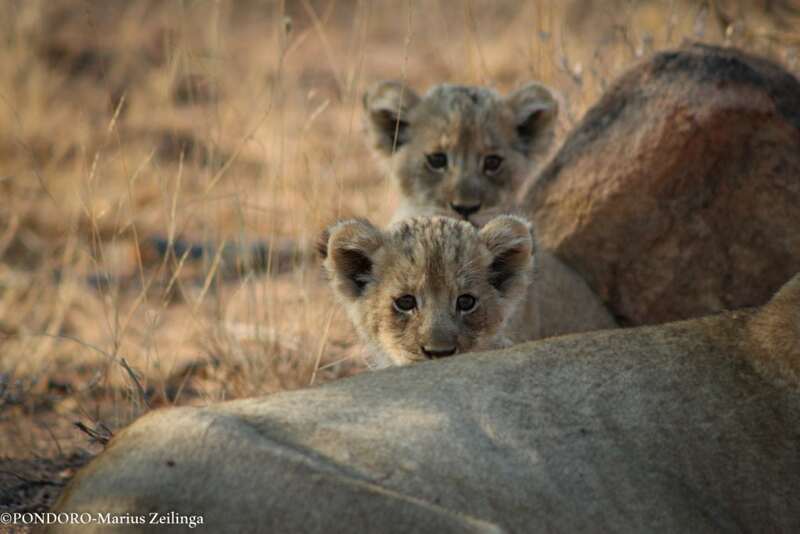 She has not yet introduced the cubs to the pride and that should happen in the next few weeks. The Machaton males haven’t moved around much this week and have been focusing their time in one area. 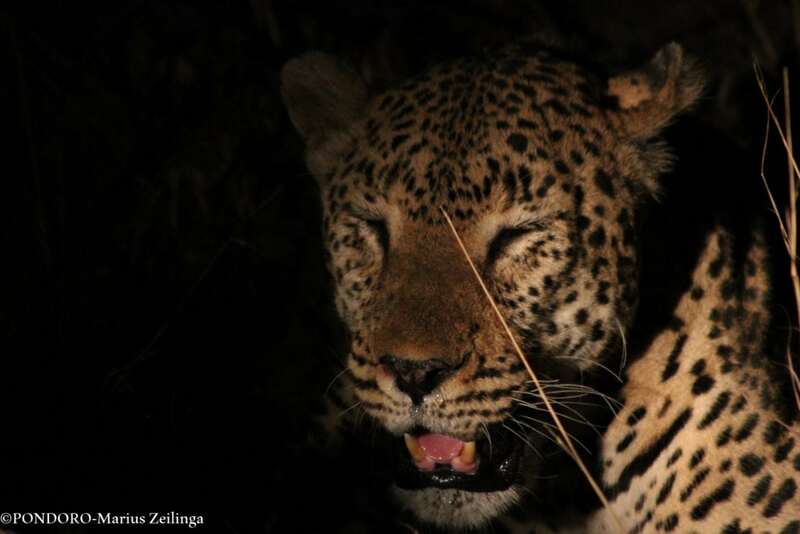 One the males moved further south and we could hear his roar deep in the night. Every time they were seen they had full bellies and bloody faces so no real struggle for food this week. 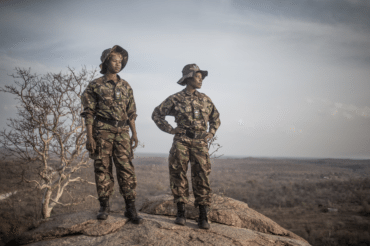 One of the young leopardesses, Nkanyi, was found one night approaching a waterhole but a few steenbok and several scrub-hares got her attention. She was a bit overwhelmed with all the prey animals that she could hardly finish drinking before chasing after something. Chavaluthu made a few appearances during the week. 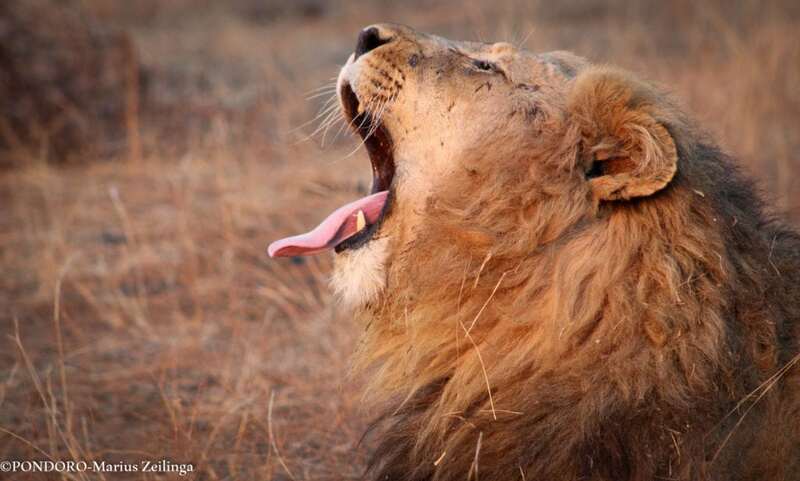 He was found relaxing next to a large waterhole one afternoon and a day or so later again at the side of a termite mount waiting for a prey animal. He also felt the heat one day by lying under the same tree until well after sunset. 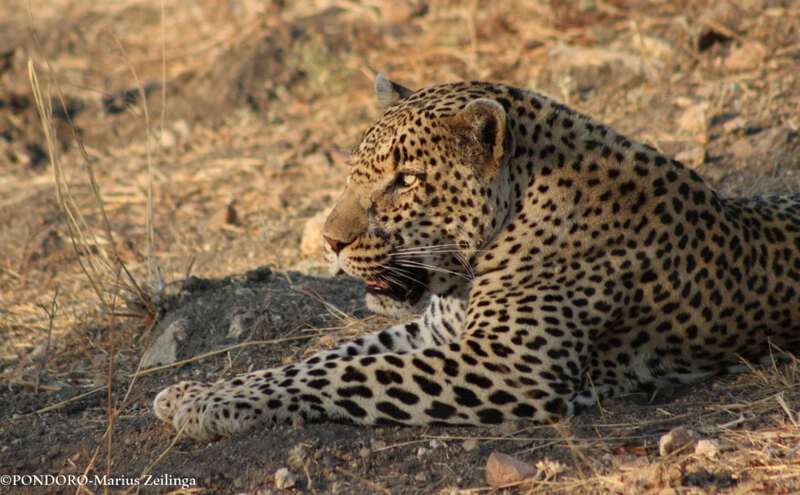 A large male leopard known as Watsakile was found in the far west with an impala stashed high up a marula tree. He chose to go and rest in a nearby drainage line where he could wait out the day. 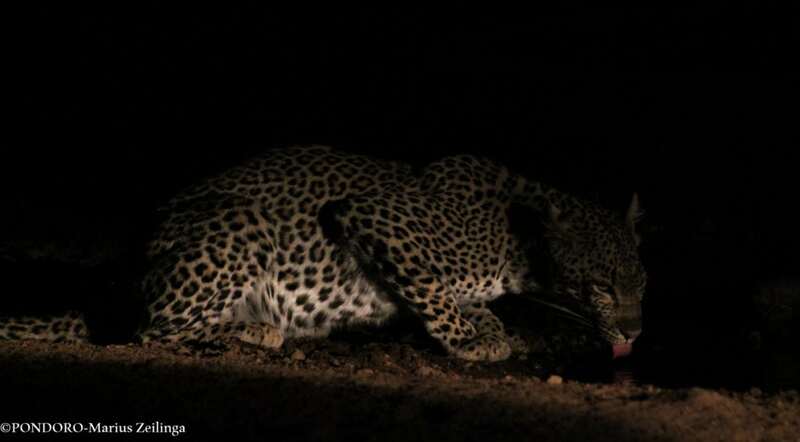 Just after night fall he made his way to a waterhole to quench his thirst. 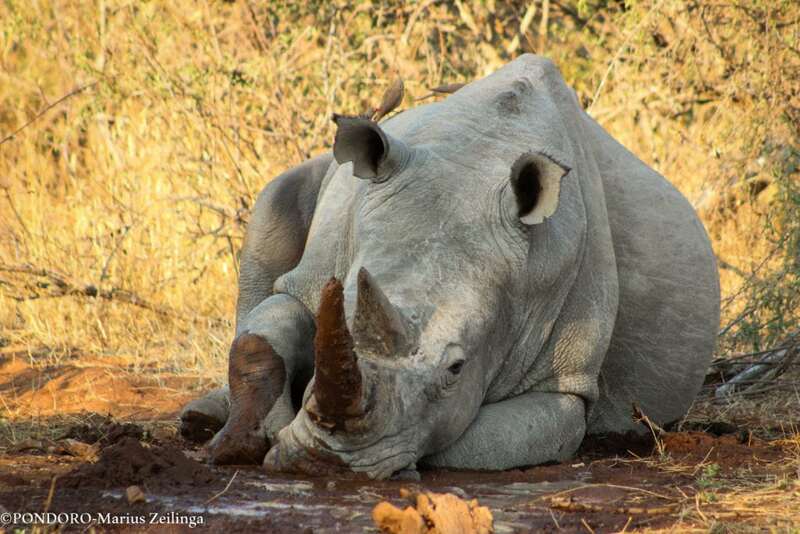 A dominant White rhino bull enjoyed the cool mud one afternoon and spent over an hour lying in the shade.